There are mega 3000 ways to win this fruity 5 reel. That means a higher chance of winning every time you play online slots. Match the colourful and juicy fruit symbols to accumulate your fantastic fortune in the vibrant online slot that provides you with one of the best online gaming experiences, leaving you gripped to the edge of your seat as the cash prizes roll in your mobile casino. Net Entertainment (NetEnt) are leading provider of slot games uk to the world’s most successful online casino operators. With over 20 year experience, they believe themselves to be true pioneers in driving the market in driving the market with games powered by their cutting-edge platform. 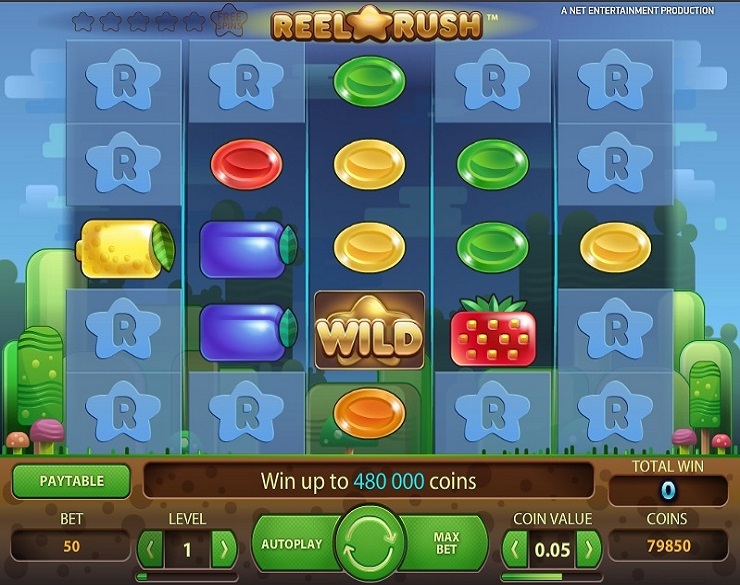 Reel Rush is a 5 reel, 3-row online video slots game with 3215 ways to win. The game is centred around a fruit theme, using symbols like strawberries and blackberries as the higher value symbols, and round sweets represent the lower value symbols. In order to start the game, the player must set their bet using the “level” and “coin value” buttons. The level button modifies the bet level, and players can choose a coin value between 0.01 and 0.2. Once they have set their wager, the player must hit “Spin” to set the reels in motion. There is a Max Bet option, which allows the player to spin with the maximum wager. There is also an “Autoplay” feature, which allows the game to play automatically for a number of spins predetermined by the player. One unique thing about Reel Rush is its respin feature. If the player lands any winning combination, they will trigger a respin. The player can only gain a maximum of 5 re-spins in a row. During respins, 2 new symbols are added, increasing the number of possible wins. Respins end when there are no winning combinations, or after the 5th respin. If the player wins during 5th respin, they will receive 8 free spins. Additional respins can't be triggered during the free spins but can be triggered as normal in any other circumstance. The game's Wild Symbol is easy to identify as it simply consists of the word “Wild” on a golden block. When 5 strawberries land on any of the reels, the player will receive a jackpot of 1,000 coins. -The level button adjusts the bet level. -The Coin Value button changes the coin size. -The Spin button sets the reels in motion. -Max Bet sets the player's wager at maximum. -Autoplay sets the reels in motion automatically for a predetermined number of spins. 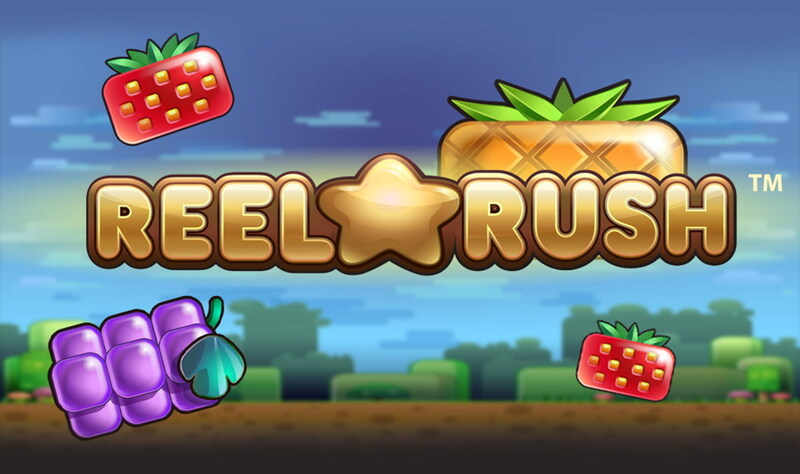 Reel Rush is a fairly simple yet addictive online video slots game with an interesting respin feature and a fairly high and easy to achieve jackpot. The theme of the game is colourful and fun, which reminded me of games like fruit legends or fruit ninja. The game has an RTP (Return To Player) of 97%, which is absolutely ridiculous. Due to the high RTP, I highly recommend Reel Rush to beginners and seasoned slots players alike. An equally fantastic game for you is here. Or Find more EasySlot games.